Ever hear any of these? Unfortunately, these and other similar comments are heard across organisations worldwide. In part the problem is the way in which Data modelling has been taught with its focus on the development of technical solutions. 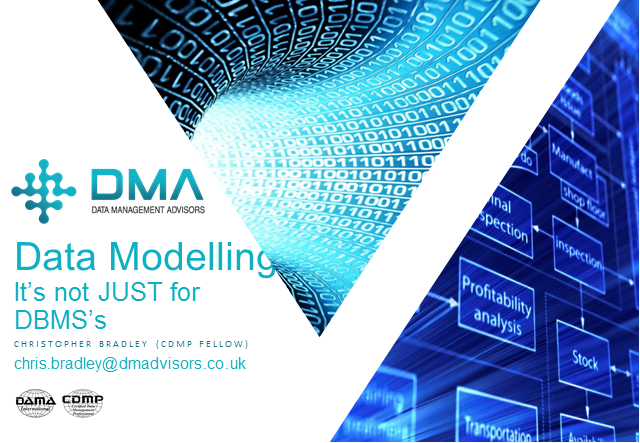 This webinar with describe why Data modelling is NOT just for use in DBMS design, in fact it hasn’t been for a long time. Also how the techniques we learned in the 70’s and 80’s for the pre-relational era are useful again now, and why data models are essential for COTS package implementation.